In this chapter we summarize the main types of analog inductorless filter design and discuss some of their important features as they pertain to the constraints imposed by integrated-circuit technology. It is shown that, by and large, most of the design techniques known today can be related to the methodologies outlined in the previous chapters of this book. 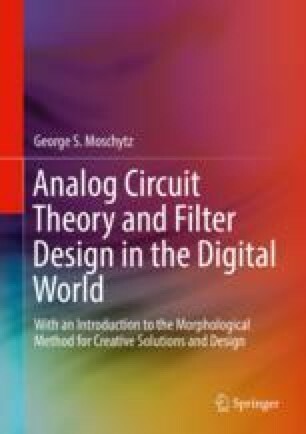 Thus, this chapter serves to demonstrate the power of these methodologies and, at the same time, serves to summarize the most important active filter design techniques known today.